We have a large selection of vintage and antique Wedgwood China inside our antiques mall. 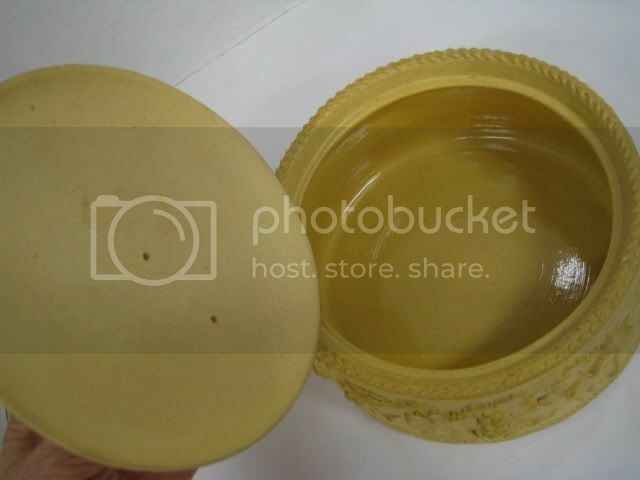 Wedgwood pieces are very collectible and we have pieces in all shapes, sizes, and forms. 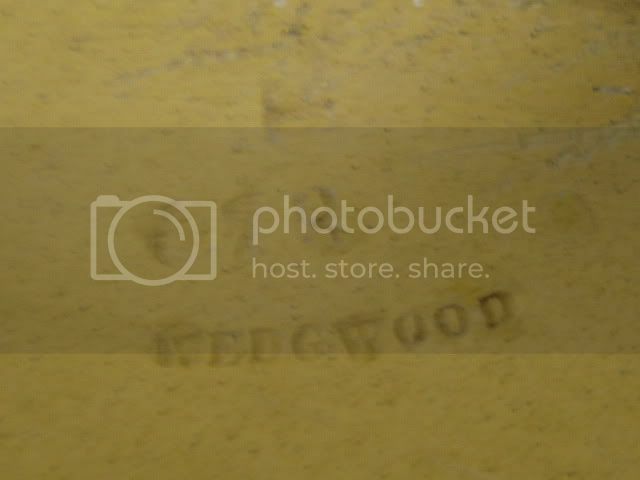 We also buy Wedgwood and can help identify Wedgwood marks for you. 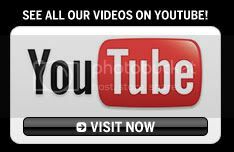 We also offer free antique appraisals so contact us with any questions. 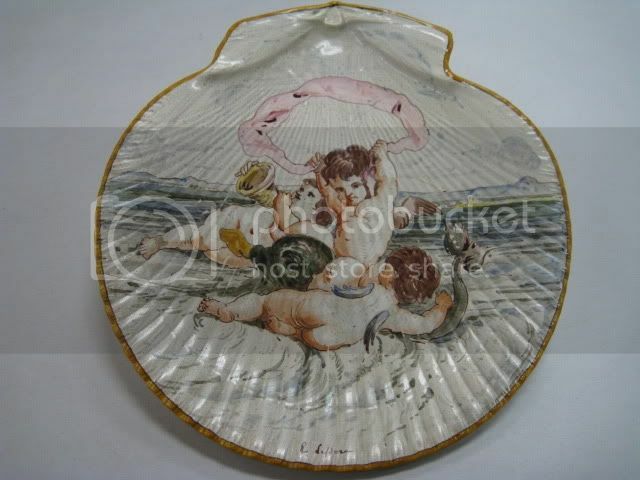 Antique Wedgwood Shell by Emile Lessore! 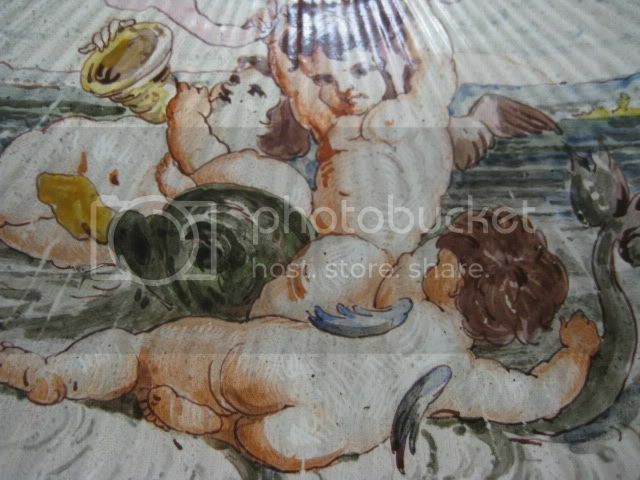 Beautiful antique Wedgwood piece by renowned artist Emile Lessore. This piece is in excellent condition and looks great. 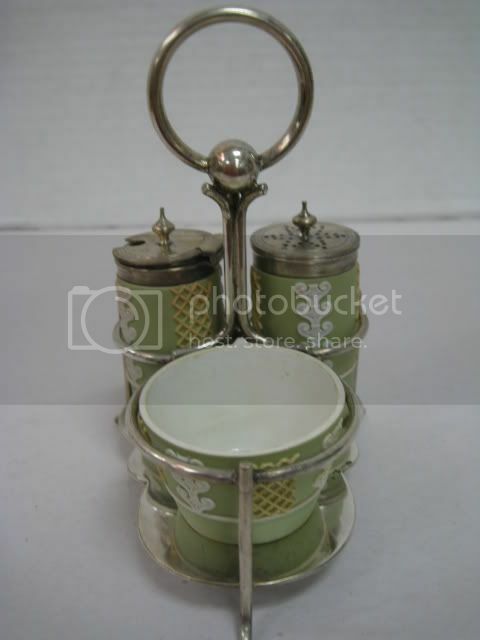 Here we have a very nice Wedgwood condiment caddy. It's jasper ware on a nice sterling silver tray. This is a rare set in fine condition. 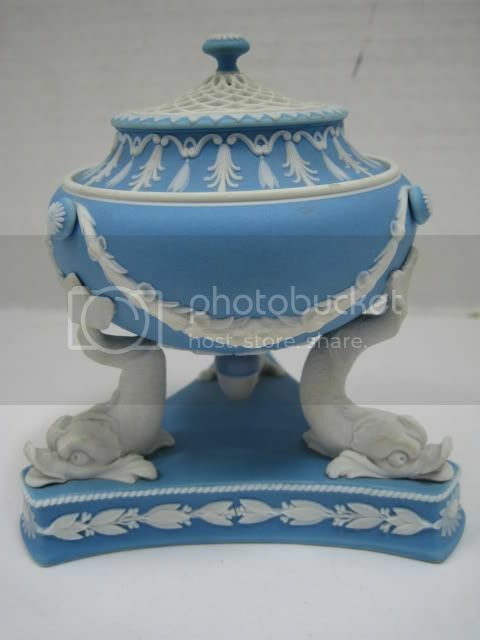 Antique Wedgwood Flower Pot Vase with Frog Top! 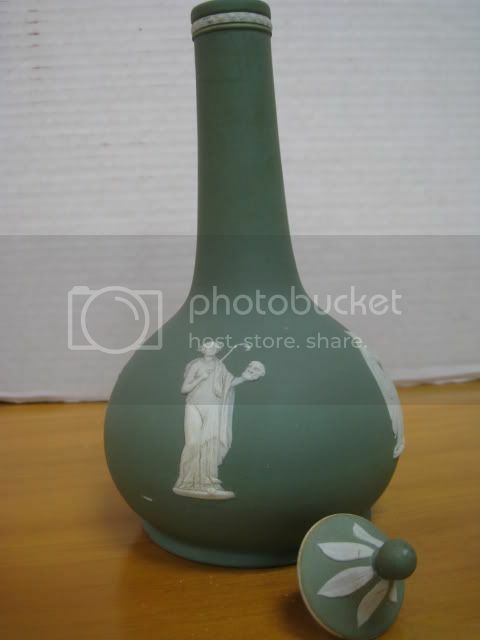 This is a fine antique Wedgwood vase with frog top from our antiques mall. 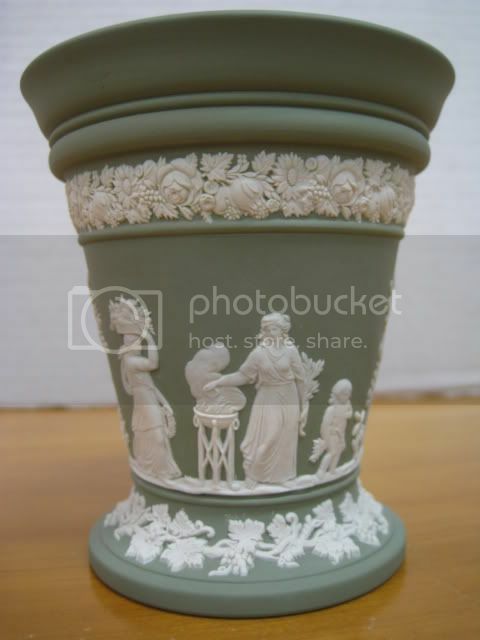 It's a rich sage green color with the elegant white figures around it. 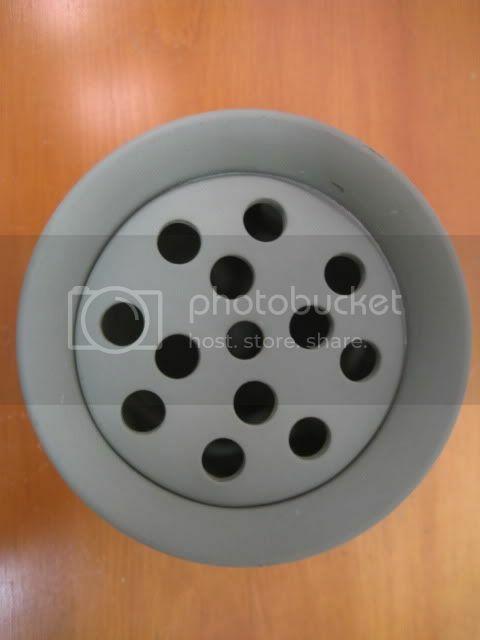 This piece was well cared for and is in great condition with no chips, no cracks, and no repairs. 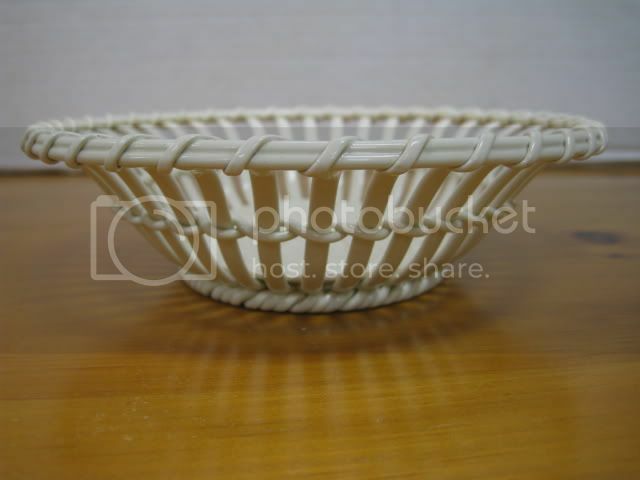 Antique Wedgwood Creamware Twig Basket! 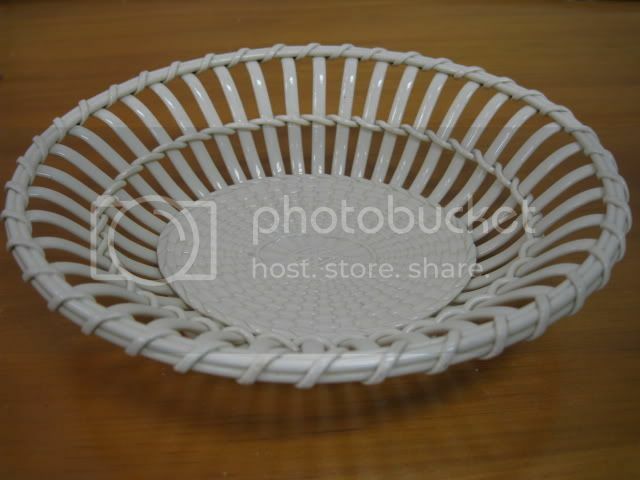 Wedgwood antique twig basket expertly made and well cared for throughout it's life. 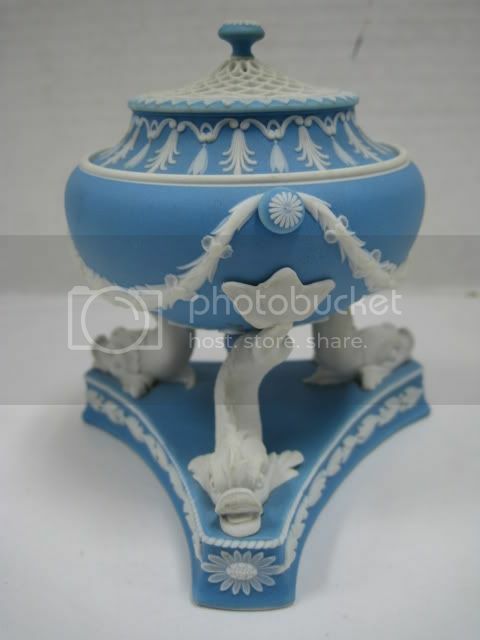 Hand twined pottery with amazing details inside this rare creamware Wedgwood piece. 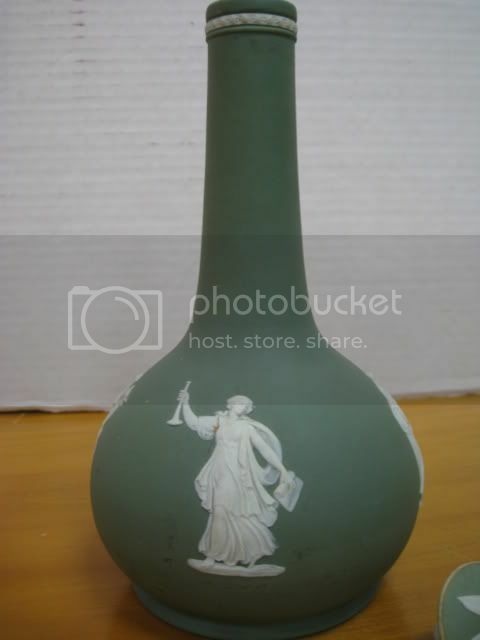 Antique Wedgwood Decanter & Top! 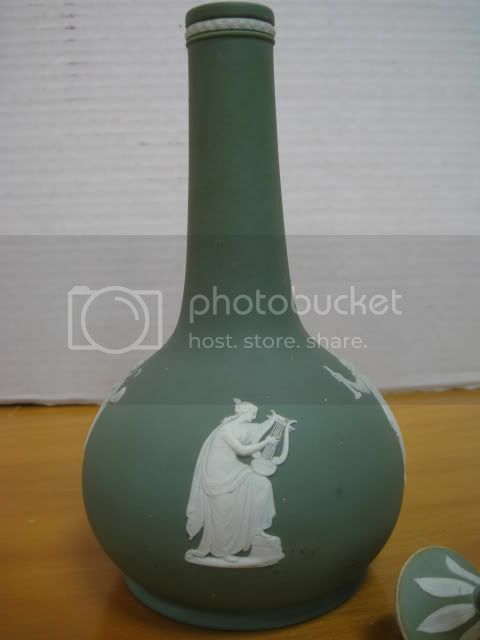 This is a very nice Wedgwood decanter with original top. It's in fine condition and looks great. This decanter was made for Humphrey Taylor & Co. of London. Antique Wedgwood Tea Set & Matching Tray! This is a beautiful antique Wedgwood tea set on matching tray with tea pot, creamer, sugar bowl with lid, 2 cups, and 2 saucers. 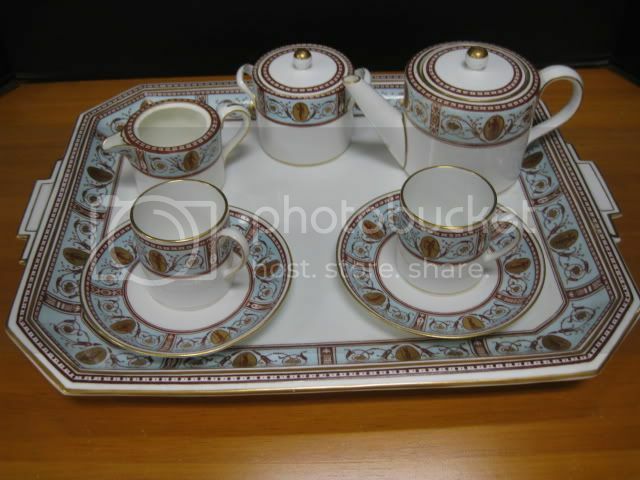 This amazing set is over 100 years old and a great example of antique china Wedgwood. 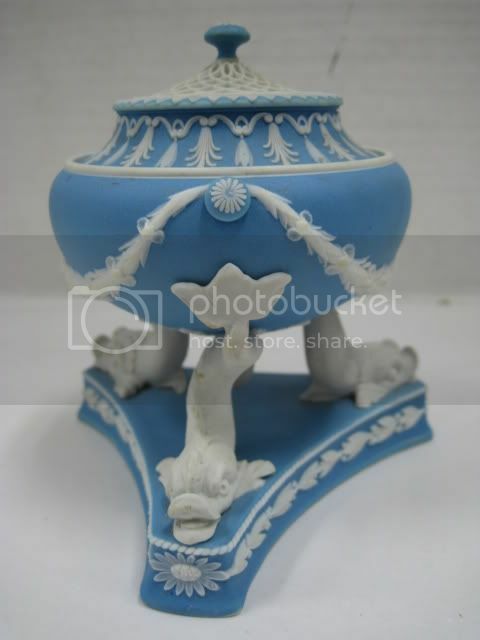 Here's a very nice antique Wedgwood incense burner with amazing details in great condition. This is piece is from the 1800's and was well cared for through out the years. This is a beautiful Wedgwood Fairyland Lustre bowl we have inside of our antiques mall. The Fairyland Lustre pieces are some of the most sought after Wedgwood pieces. 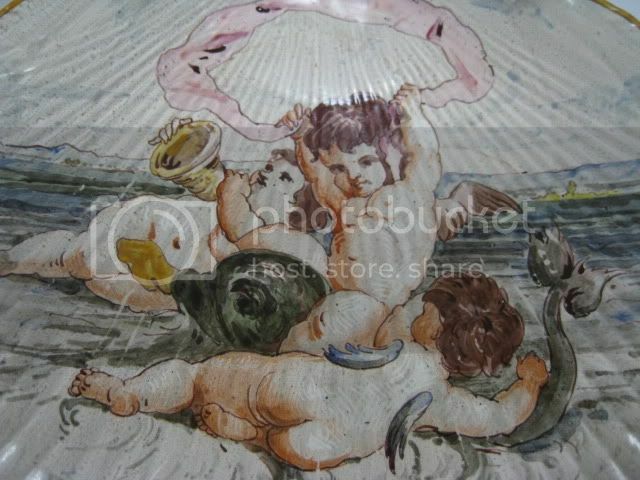 This piece looks amazing in person with it's array of colors and finely hand painted little dancing fairies. If you have any Wedgwood Fairyland Lustre pieces you would like to sell or have appraised contact us at Gannon's Antiques & Art. Here's a video on this Wedgood Fairyland Lustre Bowl! This is a very nice antique Wedgwood China tea set in fine condition from the 1700's. 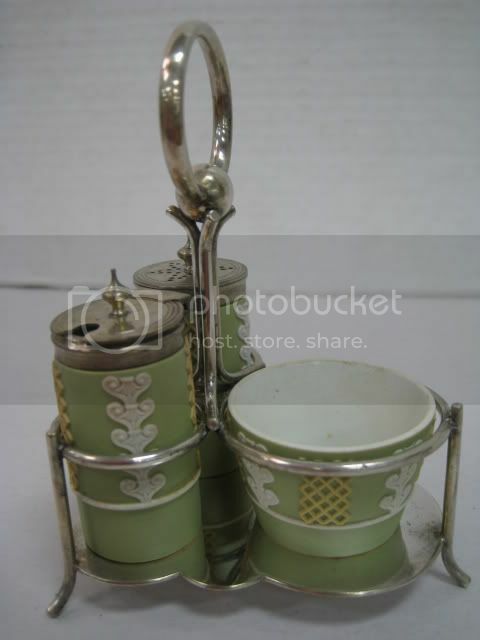 Here we have a tea pot, a creamer, and a sugar bowl. 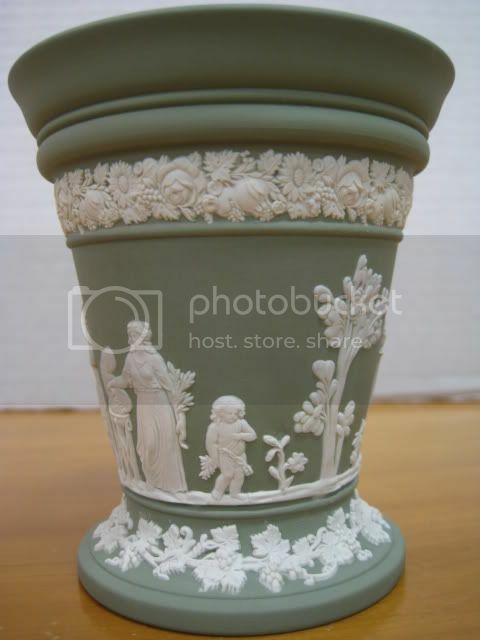 This is antique Wedgwood Jasperware and a very rare find. Watch our video on this Wedgood Tea Set and other Wedgwood pieces! 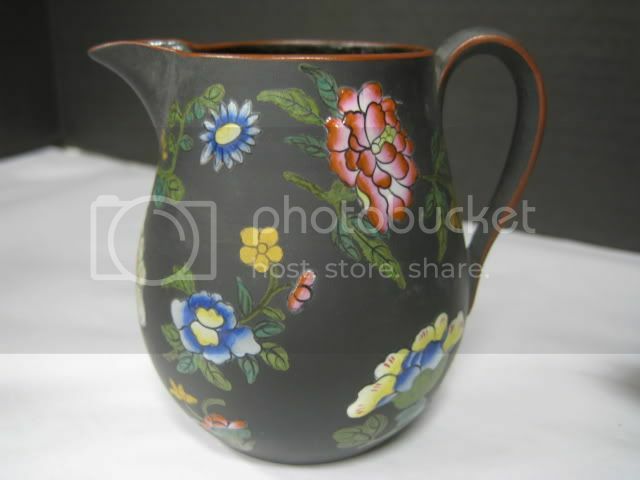 Here's a great antique Wedgwood Jasperware China Pitcher from our antiques mall. This is a rare crimson color with fine images around the base. Jasperware was made popular by Wedgwood and this is a great example of antique Wedgwood Jasper China. Antique Wedgwood Black Basalt Tea Set c. 1860! 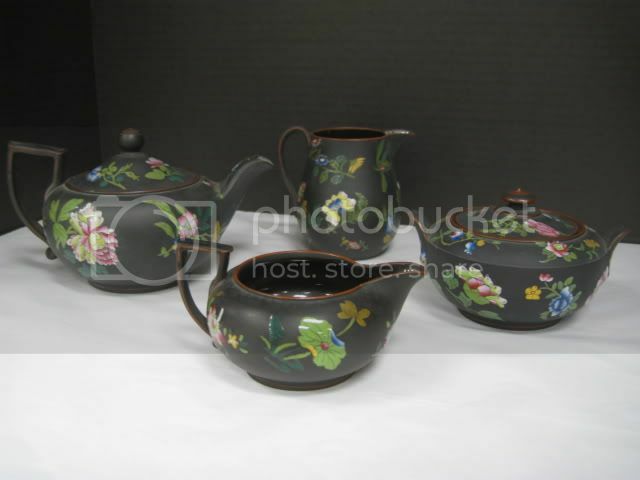 This is a rare antique Wedgwood Basaltware tea set with tea pot, creamer, and sugar bowl. It's black on black high relief classic Grecian figures including angels, horses, and chariots. 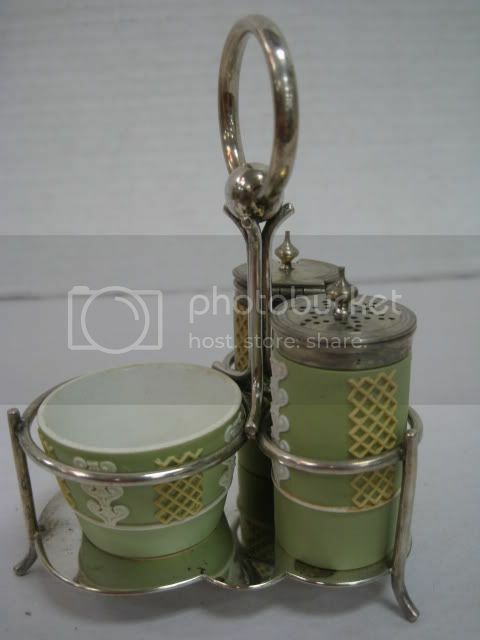 The set has no Wedgwood date codes and a set like this would be extremely hard to find. This is an amazing set we are proud to have in our antiques mall. Antique Wedgwood Enamel on Black Basalt! Beautiful antique Wedgwood enamel on black Basalt tea set. This is a great set with rich colors from the enamel contrasting against the black background. Each piece is in fine condition and this is a rare find. Antique Wedgwood Crimson China Cup & Saucer! 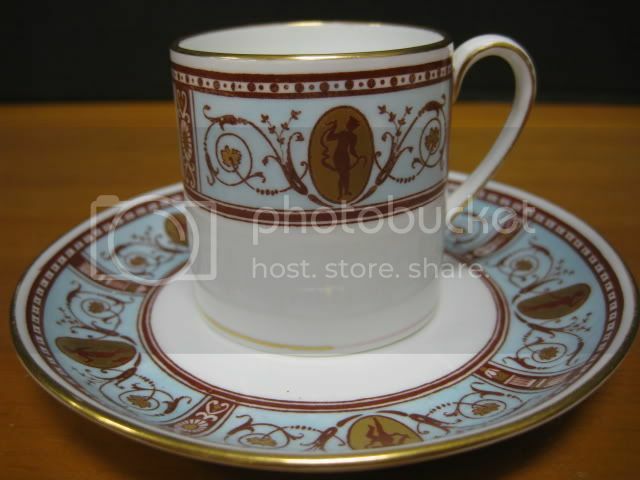 Here's an amazing antique Wedgwood crimson Jasperware cup and saucer. They feature beautiful white Neo-Classical figures on a deep crimson red background. This crimson color is a rare color from Wedgwood and very sought after. These pieces are in nice condition and look great. 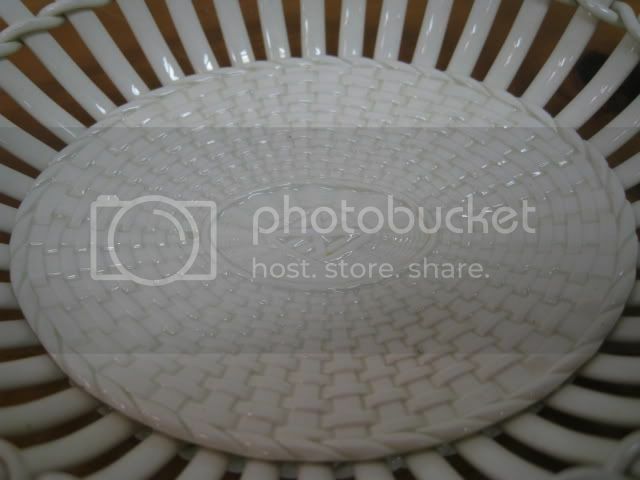 Antique Wedgwood Caneware Vegetable Casserole Dish! 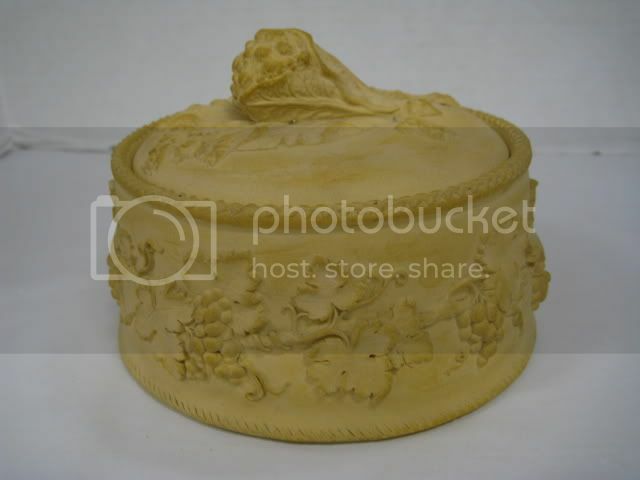 This is an antique Wedgwood caneware vegetable casserole dish with lid in excellent condition. 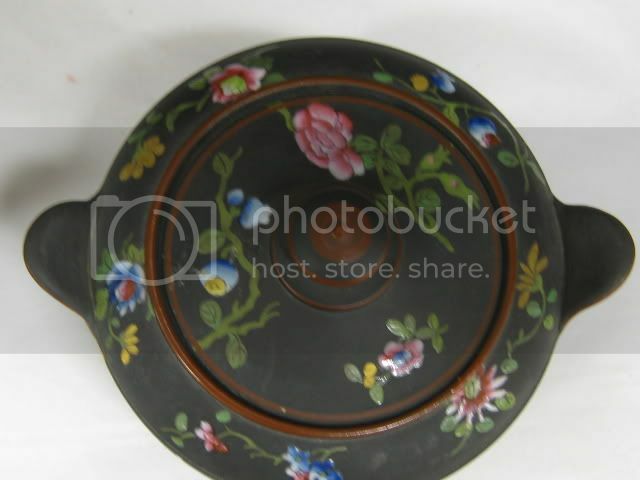 This beautiful piece is from the late 1700's or the early 1800's and looks great. Finding antique Wedgwood china like this is very rare and we are pleased to have this piece showcased inside our antiques mall. 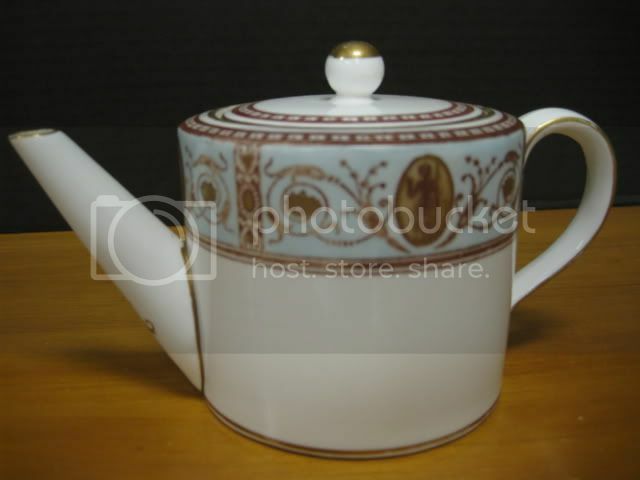 Go from Antique Wedgwood China to Gannon's Home Page!